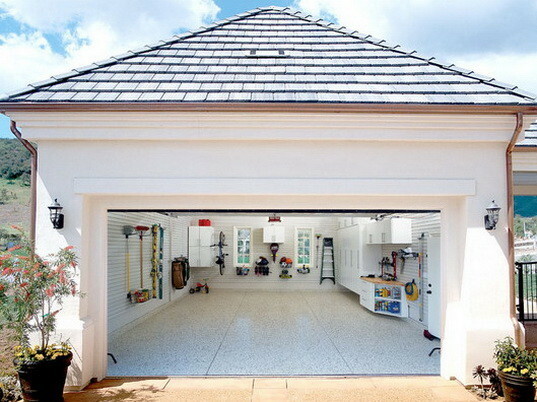 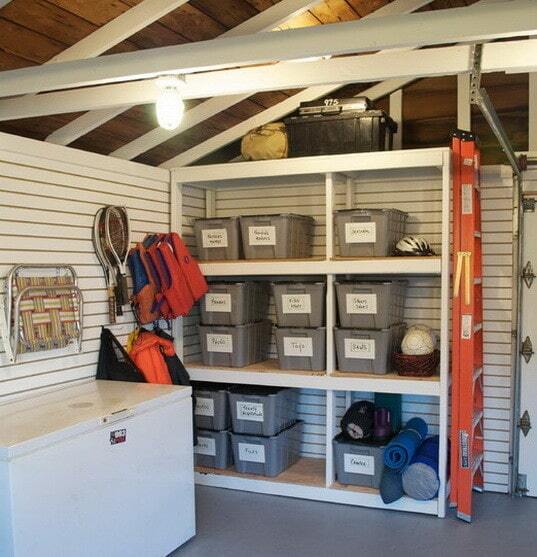 Here are some quick and easy tips for keeping your garage organized and clutter free. 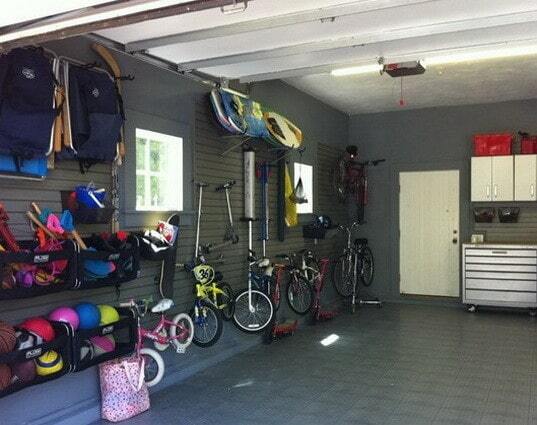 If you have a large garage with bikes, hand tools, holiday supplies, cleaning products, camping supplies, safety equipment, children’s toys, cars, furniture, etc… then you know it is not an easy task to keep it well organized. 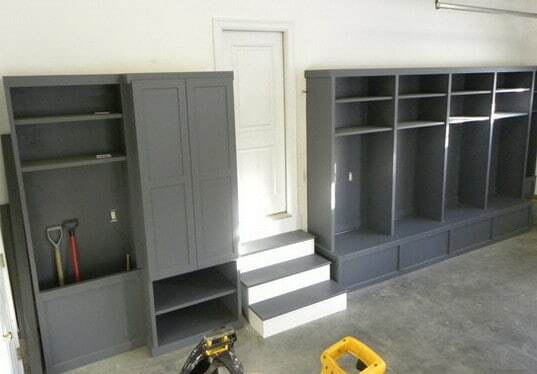 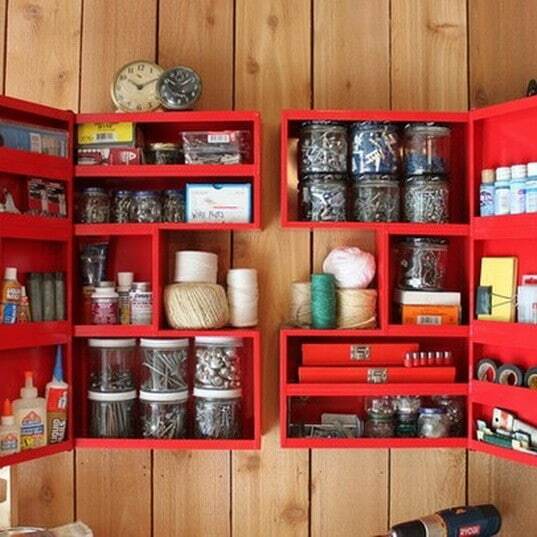 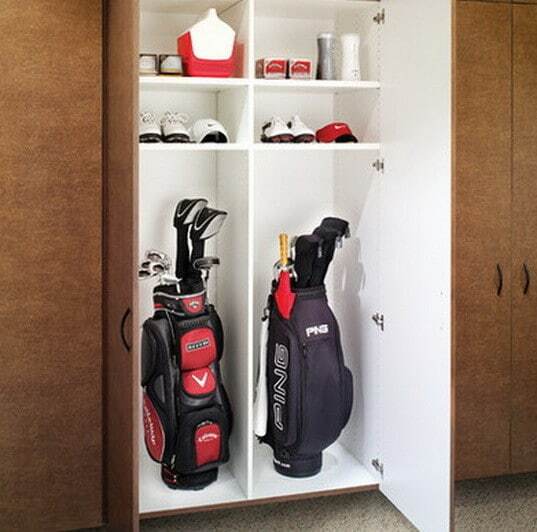 You need a DIY storage solution that makes sense. 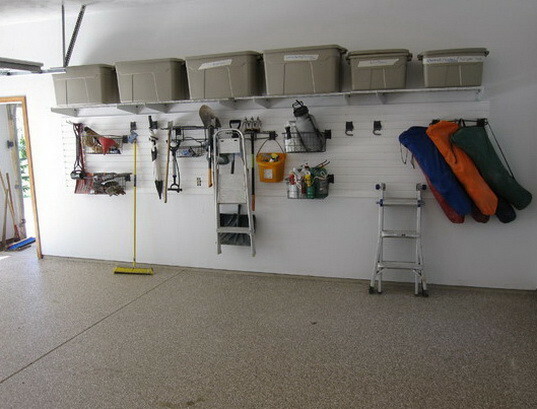 With a little planning and some mountable wall racks and inexpensive shelving units, you can get your project started and have a garage that is well organized. 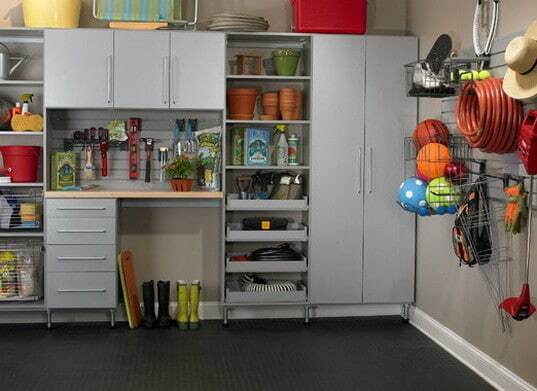 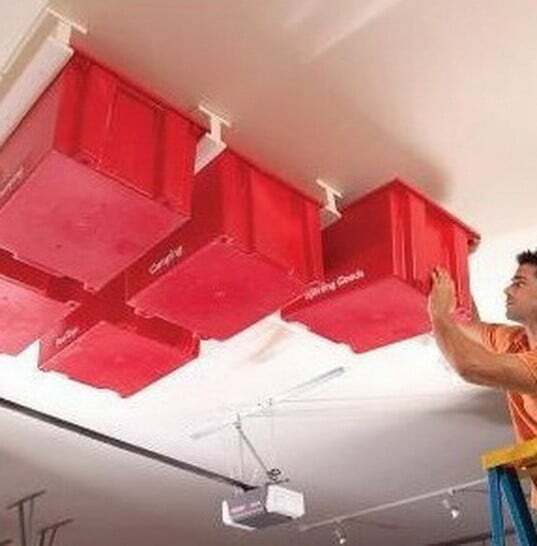 The Rubbermaid Storage Company has many tips, hints and tricks that involve using actual products that were created to help you organize your garage. 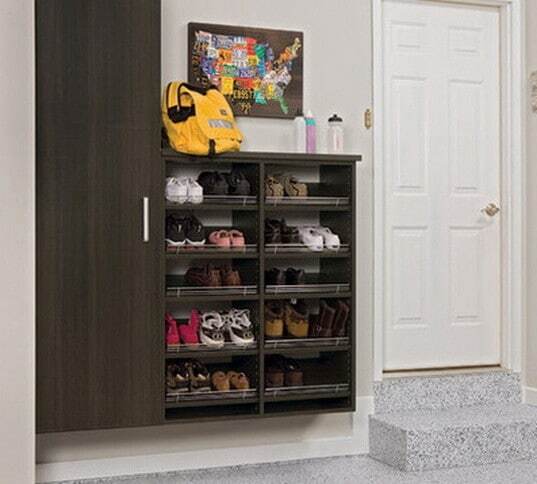 They offer some well made and clever storage solutions. 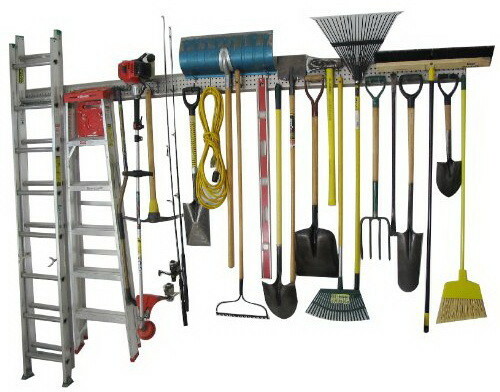 They are relatively cheap and many of the racks and shelving can be purchased online for less than at the store. 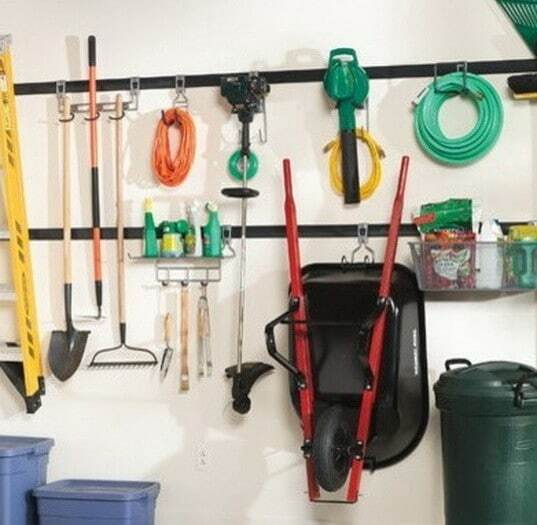 Many of the organizing solutions they offer have been used in the pictures below. 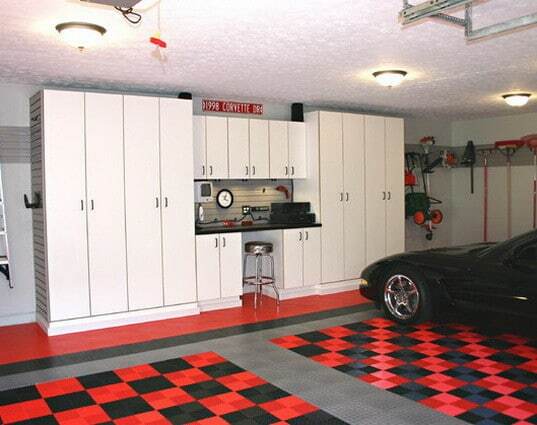 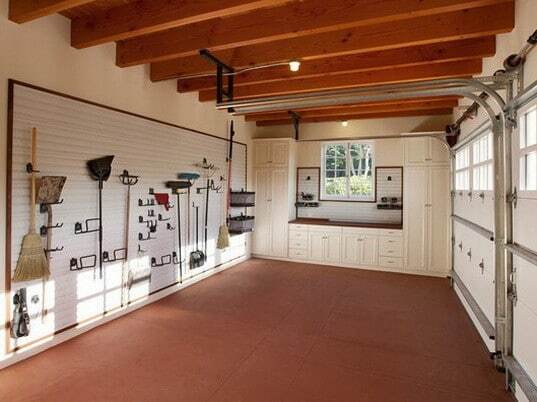 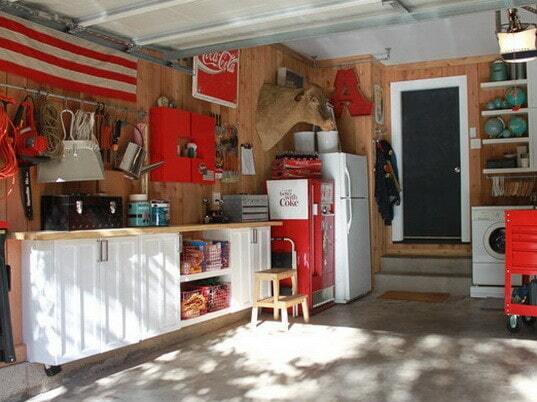 So have a look at our 19 photos below and incorporate some of the great ideas into your garage. 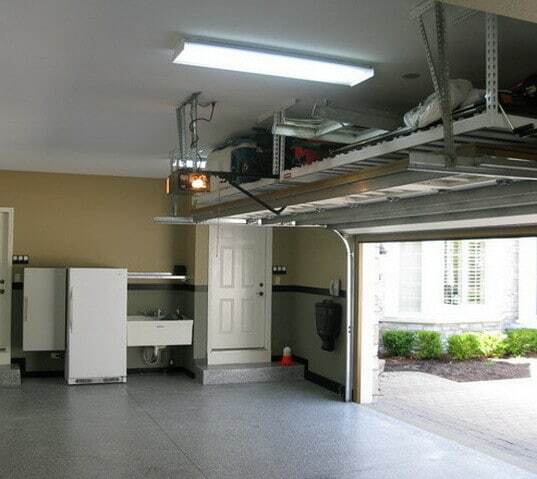 Below are some storage racks that can help you to organize your garage. 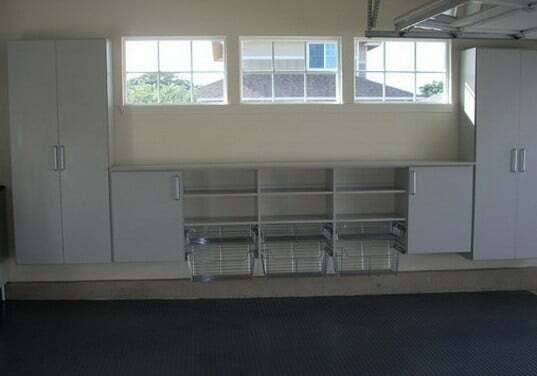 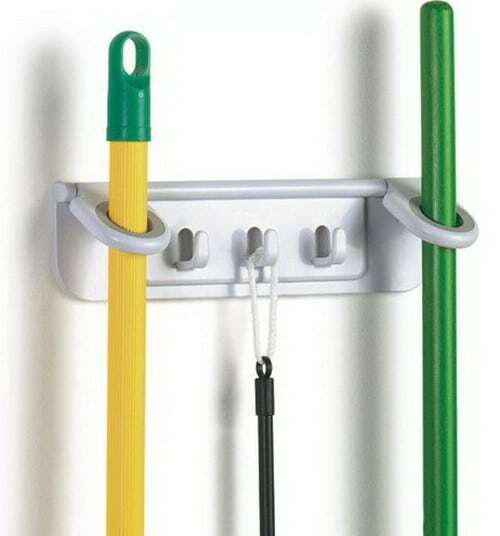 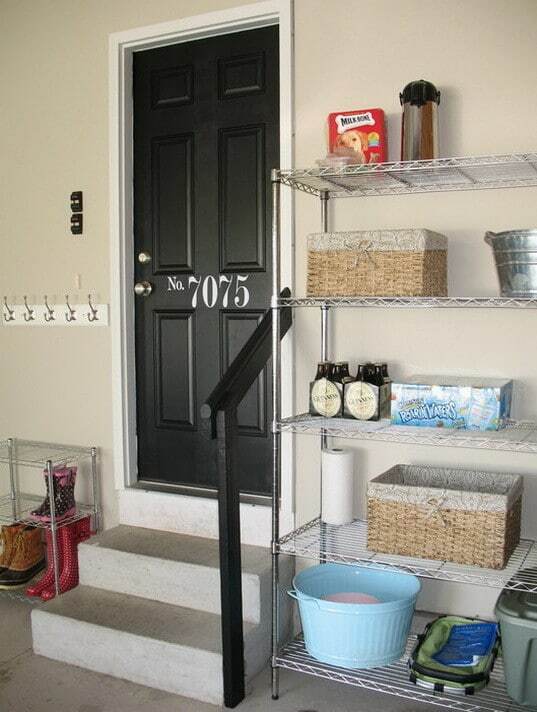 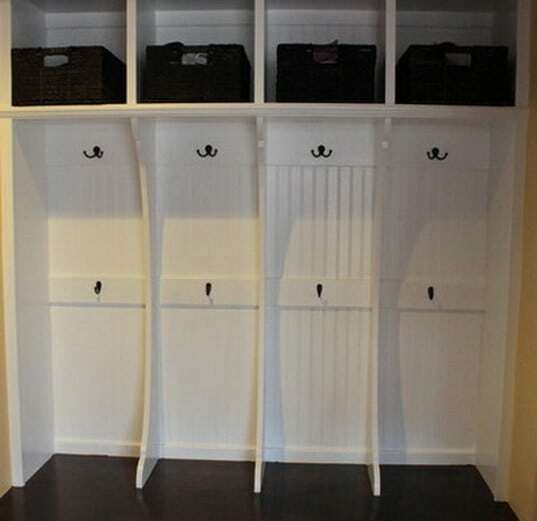 Here is a great storage rack that can hold your brooms and mops in the garage. 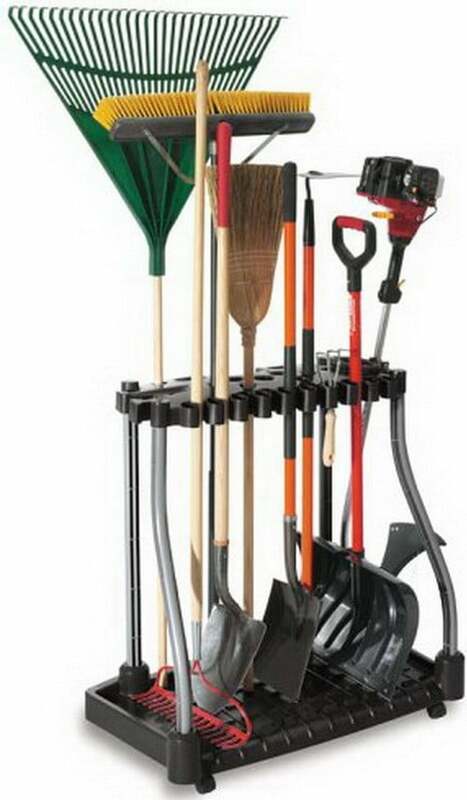 This free standing rack holds all of your garden tools in the garage to minimize clutter. 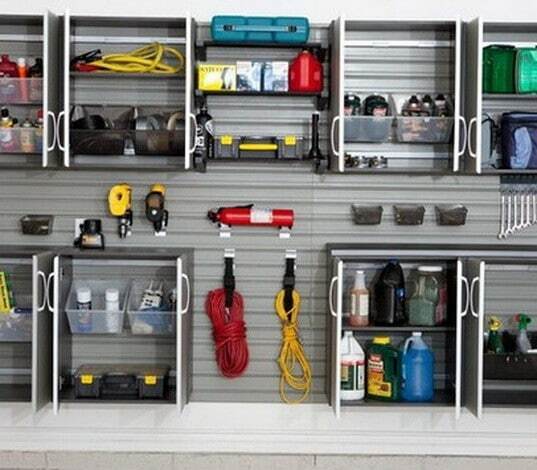 This wall mounted garage rack is a great storage solution to keep almost anything off the floor. 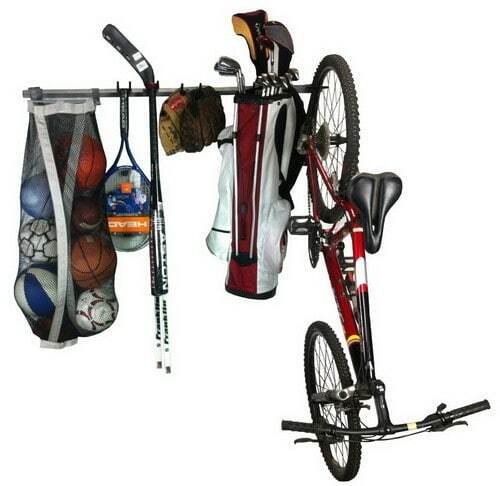 Here is a great example of how to keep your bicycles and sporting equipment organized. 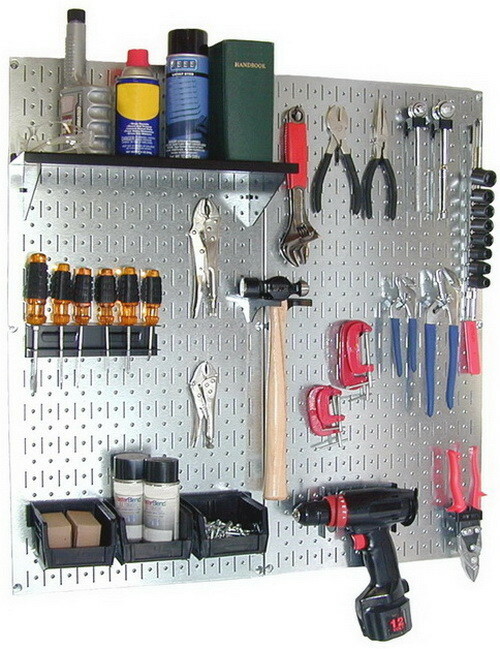 Keep your most used tools handy in your garage with this inexpensive peg board. 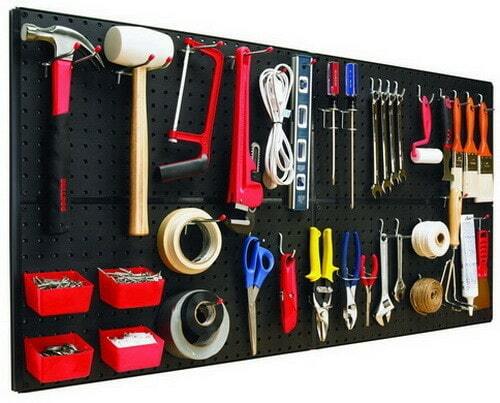 If you are tired of opening up your tool chests drawers, an easy solution is a tool peg board.